These and many more are the dreams of many parents. Most parents see vocational education as secondary and not important. They just want academic success for their children but, is that really the best? Does this help your child? Does this make your child fulfilled? What will the society look like if we had only white collar jobs? We live in a society that places a high value on white-collar jobs and ‘professionals’. We consider blue collar work as low status. It’s no surprise that parents want their children to pursue careers that will maintain or increase their status. This is even more evident in high-socio economic communities.”Many schools pride themselves in helping students with low academic achievement. They place a premium on college admissions which is often the mark of their success. Every parent will be happy to send their child to a school whose graduates are able to gain admission into top Ivy league university. Every child deserves a quality education; without education, knowledge cannot be conceived. A sound education is the right of every person. Education is simply the acquisition of knowledge, skills and attitude. However, academic-based school seems to be striving in most educational institutions. Necessary career skills that are required in the business world are not taught to students. Nevertheless, the emphasis is gradually moving away from the academic-based education that relies on the mere gaining of credentials to skill-based training that recognises the need to apply vital skills in the real work environment. ​This article aims to discuss the importance of vocational education in schools in Nigeria and to answer the following questions: should vocational subjects be taught as part of early childhood education? What are the challenges of vocational education in Nigeria and what is the way forward? etc. The word vocation refers to a strong feeling of suitability for a particular career or occupation. Okoye (2010) defines vocational education as a skill-based programme designed for skill acquisition at a lower level of education. It is planned to offer people the opportunity of refining themselves in their general proficiency, especially about their current or future occupation. When people hear vocation education, they believe it is for those who cannot afford a quality education. However, this is a wrong assumption; the truth is everyone needs to learn valuable hands-on skills. In the long run, these skills can act as a means in which income is generated. In Nigeria, there is too much emphasis on university education which has reduced the economic opportunities for those who are more work-oriented. Not everybody can afford a university degree, and not everyone is academically inclined. We have had a lot of successful entrepreneurs who are changing and shaping the business world, for example Bill Gates, Steve Jobs etc. These people learnt technical and vocational skills which impacted and led them into designing technologies that provide solution to the world. Schools in Nigeria need to introduce vocational education into their curriculum. By doing so, it will assist students to develop skills they can use in the future. Vocational training should be taught to children from an early age. That way, they can imbibe and nurture the expertise as they grow. Many early childhood education institutions in Nigeria are lacking in this aspect. They focus on just taking care of this young children and teaching them elementary numerical, reasoning and verbal skills. If the nation had this culture absorbed from an early age, the economy would not be suffering from low productivity. 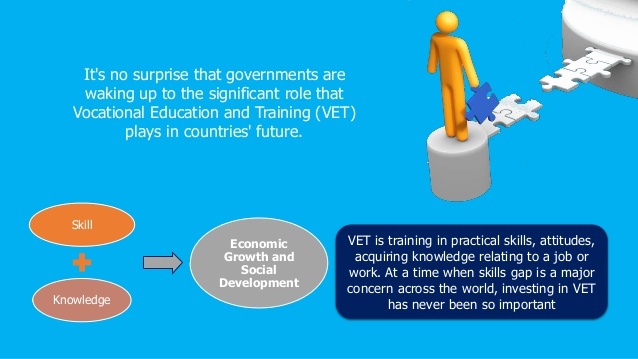 Vocational education is the engine for economic growth in the country. Nigerians should invest in skill training, as no nation can compete effectively in the emerging global marketplace with poorly educated and unskilled workers. Students at Greensprings School learning how to be innovative . The leading factors of production in the emerging global economy are said to be technology, knowledge, creativity and innovation. The absence of excellence in many technical and vocational fields cost us economically as a nation. Should vocational subjects be taught as part of early childhood education? 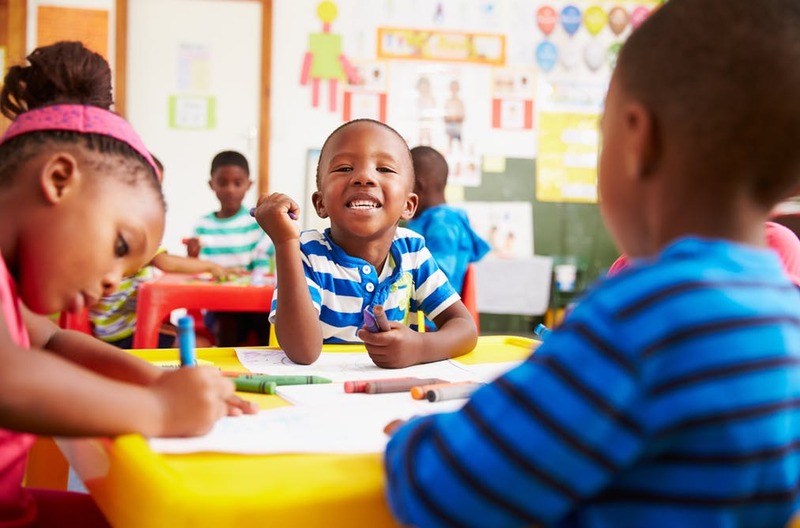 Vocational study in early childhood education is a question a lot of people do not ask, because they do not see the importance of teaching their young children professional skills. There is so much unfairness when the topic of vocational education comes to the surface. Early childhood education needs to tackle this problem first hand, because if children get such education at preschool level, they can easily adopt the skills for valuable use in future. Most parents and preschool teachers, however, are not focused on how their three-year-old is going to make a living someday. It is unfortunate that the education system does not take this drive more seriously. It is essential for vocational education to be taught in pre-school; early childhood institutions should look at including this into their curriculum. Schools in Nigeria focus more of their attention on giving their students homework on a regular basis; while this is not a bad idea, they should also focus on doing the same with work-oriented projects. Building work skills must involve group actions, the sharing of materials, and a cooperative effort. Possibly, pre-school teachers should consider giving rewards to students who perform very well. Teaching vocational education should not be based solely on age. Young children can start learning these skills very early, just the way arithmetic or numerical is taught from an early age. It is never too early to teach young children vocational awareness. Role-playing and visiting work settings are unusual movements in this regard. Younger children should be allowed to dress up as their favourite Disney character or costume of their “preferred” profession. Early childhood institutions should provide effective teaching tools such as videos, collages and imitation exercises. A classroom store or assignments such as feeding fish, clearing out the trash, cleaning chalkboards, restocking books, and so forth are also used to teach responsibility and work ethics. All these prepare young children for the future and also makes them ready for the next phase in their education i.e. elementary stage. If you check for articles on vocational education in preschool, you will hardly find any on the subject matter. Experts on early childhood education should look inward and focus more on this area. Finally, being able to legitimise vocational education in schools may also depend on successfully re-educating parents regarding the value of occupations that are not high on the social status scale. Until vocational education is taken seriously in the educational sector in Nigeria, only then will the economy become better. However, there are numerous challenges and problems affecting vocational training in the country. Vocational education can be thoroughly dealt with, only if the issues affecting its implementation to the educational sector are sorted. Vocational training can contribute to the reduction of poverty, hunger and unemployment if the challenges are addressed. Most educational institutions lack qualified teachers that can handle vocational subjects. Qualified vocational educators play a significant role in ensuring that their students enjoy practical learning. Nevertheless, the primary challenge is that, a qualified teacher may not accept a low paying job, even if he/she has a passion for teaching vocational education. Many educational institutions do not see the need to explain vocational/technical education to students in the first place. Hence, the reason they exclude it from their curriculum and therefore do not require qualified teachers for their students. Vocational education departments in schools in Nigeria, do not have the facilities or workspace to train and educate students. Art departments in primary and secondary schools lack the amenities needed to teach vocational studies to this children. According to Oryem Origa (2005), only 40% of institutions of Higher Education in Nigeria have laboratory or workshop space for technical education programmes. Most of what is available in Nigerian schools are the items that were provided when the division was first set up, which is often outdated. The lack of sufficient facilities makes it difficult to provide high-quality vocational education. Corporate organisations or alumni associations should ensure they provide an enabling environment for vocational education as students will enjoy working in well-equipped laboratories and workshops. By providing these facilities to students, their creativity skills will more likely develop. Most educational institutions do not educate and train their teams on vocational education. Training is an essential aspect of education and provides an opportunity for employees to expand their knowledge. Without appropriate training, employees can become demotivated and this may impact negatively on the learning process. Educational institutions should consider training their staff in vocational education to boost their knowledge and motivate them to teach these subjects. Aside from training staff in vocational education, schools should look into providing incentives to employees that perform exceptionally well. Political office holders in Nigeria show lack of concern in introducing vocational education into the school’s curriculum. It will take technical educators to convince lawmakers to give priority to providing the required resources for such programmes. Lawmakers’ attention to vocational education is negligible; their devotion to the success of the economy is focused on other sectors. The effort to get political holders to pay more attention to vocational education has proved difficult over the years. However, with the proliferation of more and more intellectuals in Nigeria’s political arena, there is hope that vocational education will see the light of day and be positioned as one of the solutions to drive the technological advancement of the country. Nigerians have this mentality that a university degree is more important than technical or social training. There is too much emphasis on getting a university qualification, not bearing in mind whether the holder possesses the required knowledge and skills. In Nigeria, people go to school with the mindset that education will give them the opportunity to contribute to the society. 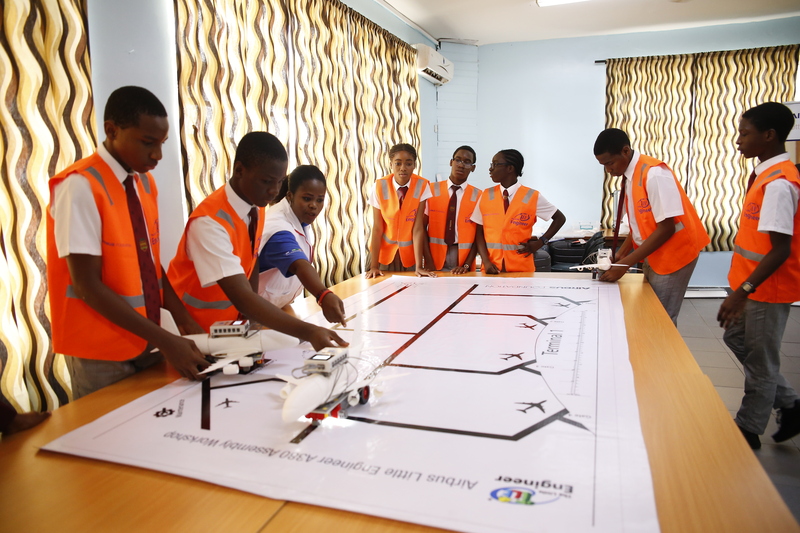 However, from the look of things, full input in Nigerian society requires vocational and technical training at all levels of our education system, which will identify the different skills and abilities and give equal opportunity to all children to prepare for work. Greensprings School successfully teaches students in elementary and secondary school technical and vocational education. 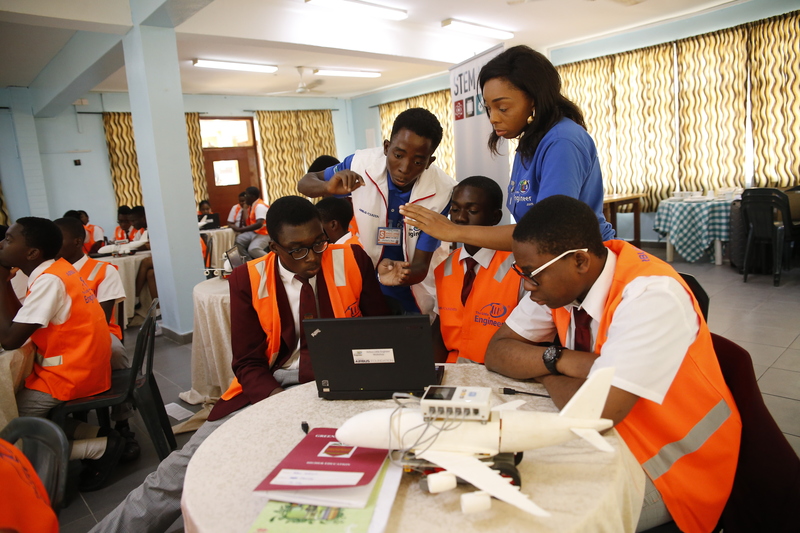 In 2016, the school organised STEM fair which was aimed to encourage students to learn, understand and apply the scientific, technological and mathematics skills they have acquired during their course of learning. Teaching students vocational education is the most effective way to build a secure socio-economic environment for everyone regardless of race, gender or personal belief. There is still hope for vocational education in Nigeria. All it takes is for educational institutions to include it into the school’s curriculum. If it is introduced into the prospectus, it will give students the opportunity to learn life skills that will help them in the future. Also, for those that dropped out from school, due to the inability to pay school fees or struggle in academics. Vocational education can help build up their talents and enable them secure well paying jobs to take care of their families. For this reason, Nigeria labor congress (NLC) and other affiliated unions should back up the government in establishing functional vocational centers in the local government areas from where the people could go and acquire some job skills. This will reduce the level of crime in the country and also increase the standard of living for the Nigerian people. 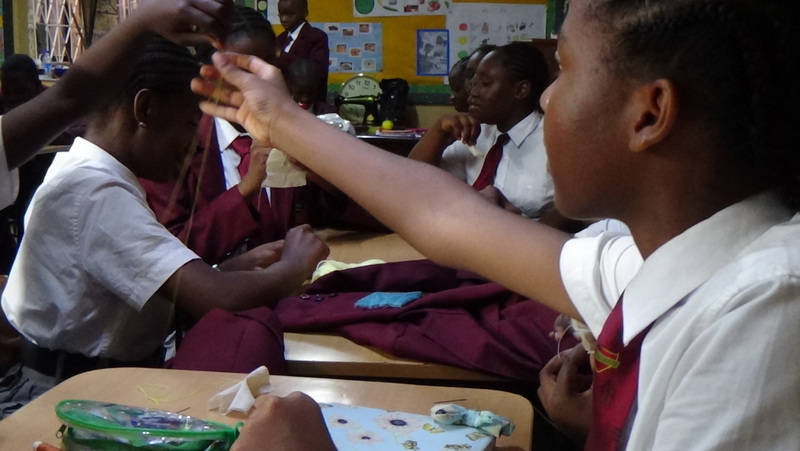 Students at Greensprings School learning how to make a dress. Secondly, there should be a shift in the mindset of educational institutions regarding vocational education. Already, private schools are beginning to embrace and teach vocational training to their students. Students are already learning robotics, crafts, drama and information technology. Schools are starting to realise that not every graduate will practice what they studied in schools. Today, we have lots of lawyers who are actors, doctors who are fashion designers and pharmacists who are traders etc. The inability of our educational system to provide the youths with the demands of industries, has led to increased frustrations; this further validates the fact that vocational education is essential. Graduates looking for jobs can use their skills to set up their businesses and earn income. The training of students in vocational education brings about both immediate and lasting economic returns for the country and its citizens. It is crucial for our vocational institutions to develop good relationships with similar institutes overseas, as this will promote cross-sharing of ideas and improve technology transfer. By doing this, the vocational institutions in Nigeria will have access to up-to-date developments and other numerous benefits. There is a huge necessity for vocational education in Nigeria. It is vital for educational institutions to provide the resources needed to teach vocational studies in schools. It is significant for parents, educators and even the government to note the relevance of scholars studying vocational education. It provides students with life skills to become productive entrepreneurs, as it breeds creative and innovative ideas. In the long run, it impacts on the economy and also increases personal freedom.